On November 29, 2017, the DOH received a preliminary briefing on updated information on the dengue vaccine, Dengvaxia, from Sanofi Pasteur. Based on the report, the Dengue vaccine has shown consistent and sustained benefit for those who were previously infected with the dengue virus. 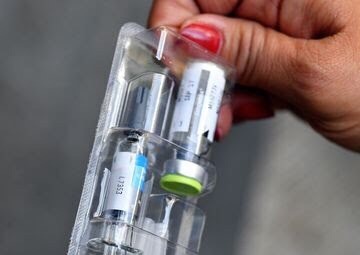 For those who were not previously infected by the dengue virus, the analysis found that vaccination led to a benefit in preventing severe illness for at least 30 months. In the longer term, severe cases may occur following a subsequent dengue infection among those who were not previously infected. In the light of this new analysis, the DOH will place the dengue vaccination program on hold while review and consultation is ongoing with experts, key stakeholders, and the WHO. The DOH is highly committed in strengthening and intensifying its ongoing surveillance and monitoring to evaluate the program and ensure safety. An average of 200,000 cases of Dengue is reported every year. Vaccination is essential to the integrated approach in dengue prevention and control. Currently, there is no reported case of severe dengue infection among those who received the vaccine. “The DOH assures the public that it is serious in carrying out its mandate to always guard the health and well-being of its constituents. Thus, it shall ensure that vaccines are always safe and effective to optimize its health benefits,” Health Secretary Francisco T. Duque III stated.